Picea excelsa Link, nom. illeg. 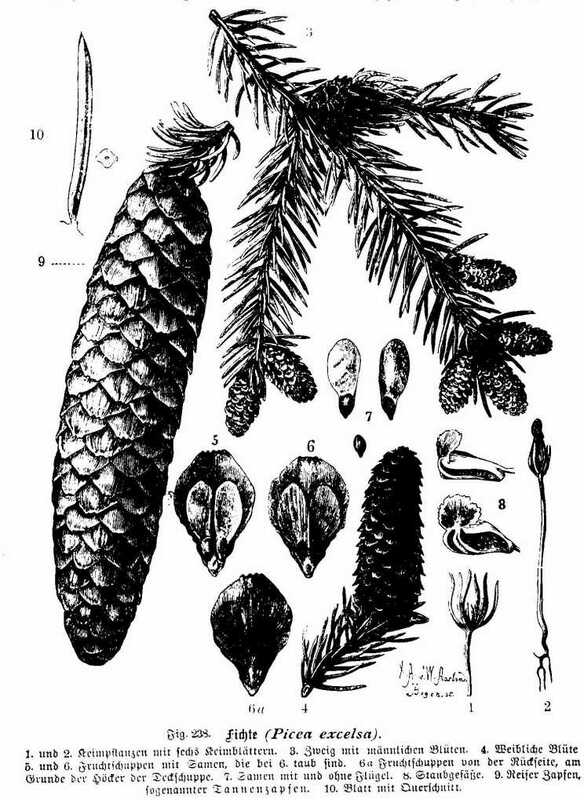 Vedi: Picea abies (L.) H. Karst. 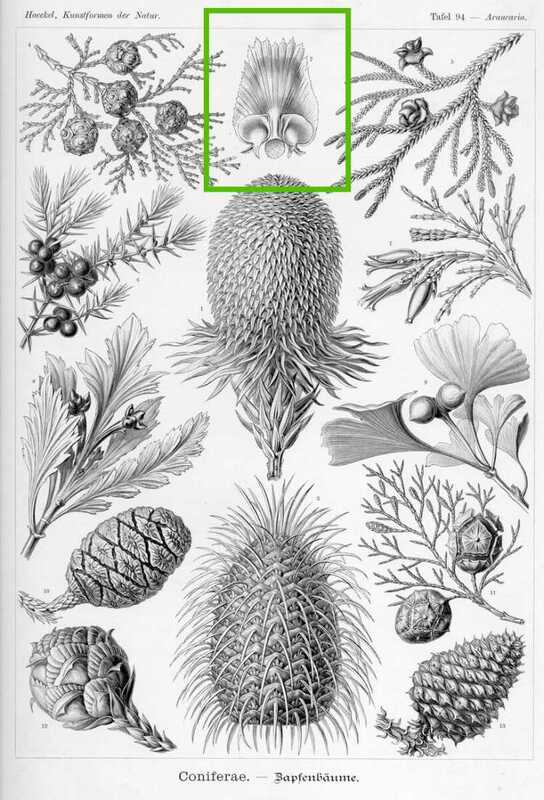 Picture modified from Haeckel, Ernst - Kunstformen der Natur (1899 - 1904) - Permission granted to use under GFDL by Kurt Stueber. Source: www.biolib.de - Permission is granted to copy, distribute and/or modify this image under the terms of the GNU Free Documentation License, Version 1.3 or any later version published by the Free Software Foundation; with no Invariant Sections, no Front-Cover Texts, and no Back-Cover Texts. A copy of the license is included in the section entitled GNU Free Documentation License. 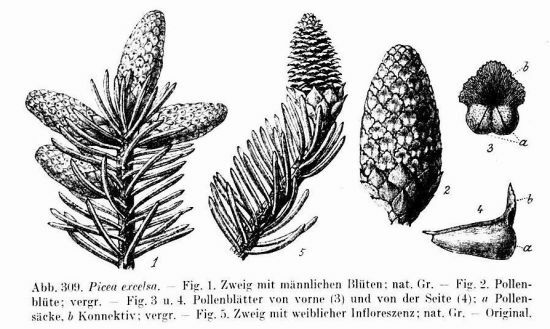 Picture modified from Richard Wettstein - Handbuch der Systematischen Botanik (1924) - Permission granted to use under GFDL by Kurt Stueber. Source: www.biolib.de - Permission is granted to copy, distribute and/or modify this image under the terms of the GNU Free Documentation License, Version 1.3 or any later version published by the Free Software Foundation; with no Invariant Sections, no Front-Cover Texts, and no Back-Cover Texts. A copy of the license is included in the section entitled 'GNU Free Documentation License'. Picture modified from Gilg, Ernst; Schumann, Karl - Das Pflanzenreich Hausschatz des Wissens (1900) - Permission granted to use under GFDL by Kurt Stueber. Source: www.biolib.de - Permission is granted to copy, distribute and/or modify this image under the terms of the GNU Free Documentation License, Version 1.3 or any later version published by the Free Software Foundation; with no Invariant Sections, no Front-Cover Texts, and no Back-Cover Texts. A copy of the license is included in the section entitled GNU Free Documentation License.